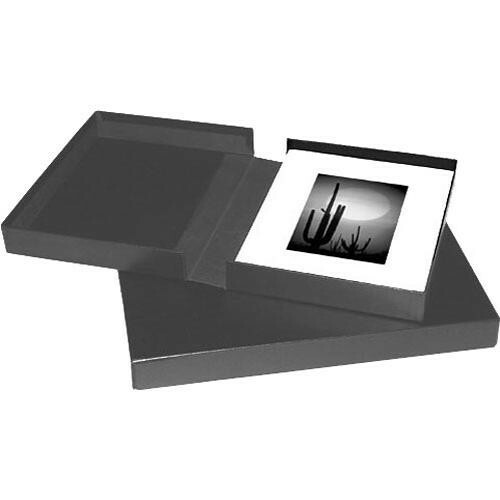 This PrintFile 9x12" Clamshell Portfolio Box is attractive enough for gallery presentation with the added benefit of archival construction which meets rigorous museum standards for long-term conservation. The top and bottom of the black-lined box remain flat when opened, making stacking or displaying prints or mounted materials easy and safe. Box Dimensions (LxWxH) 13.0 x 10.0 x 2.1"